PRICE REDUCED. EXCEPTIONAL VALUE, priced far lower than any comparable property in the neighborhood! This home will sell itself with its beauty, but the LOCATION of this home is its true draw. 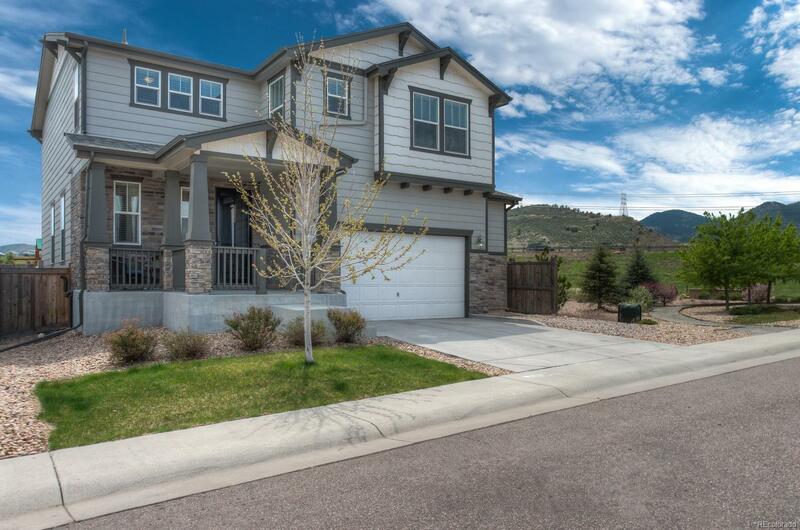 Backs to beautiful open space, with picturesque views of the foothills. Easy access to Red Rocks Amphitheater and the City of Evergreen, which provides all of the beauty and joy of Colorado. The corner lot location will provide you with the ultimate level of privacy to enjoy the serine location and scenery, directly from your backyard. Easy walk-ability to family activities such as the C470 bike trail and local parks, as well as fun social scene establishments, including restaurants and local bars, make this a truly one of a kind home. Planning on spending time in Downtown Denver or DTC? You are only a 20 minute commute from both! If you are looking for a home that combines the outdoor ambiance of Colorado, with easy access to urban style entertainment, this home is calling your name!